Map: Stanley Park (and Stanley Park Waterfall) is marked on the map in the ParkWeb Park Note: Macedon Regional Park – Visitor Guide but I haven’t been able to find any map of the actual park. Use my description (below) of where I walked or just stroll around the park. Further Details / Source(s): I actually visited the park because I drove past a sign in the main street of Mount Macedon, saying there was a waterfall there. I haven’t been able to find out much about the place on-line. Car Access: From Mount Macedon Road, turn west on Salisbury Road and park in the second carpark on your left. Begin by heading to the wooden platform that you should be able to see from the car. This overlooks the top of the falls… It doesn’t provide the best views but has been put in place due to a couple of people being injured in recent years due to falling over the edge. From here, follow the stone path over to the stairs and down into the fern gully. Here you’ll find yourself surrounded by native grasses, tree-ferns and other interesting vegetation, and not to far to your left, the Turitable Creek cascades over a rocky ledge into the gully. 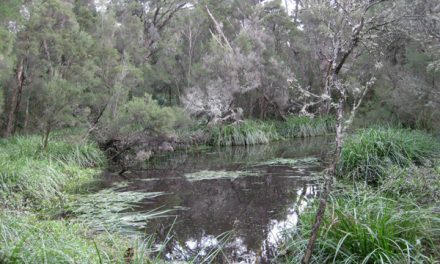 I was lucky enough to meet a lady here who volunteers on the park’s Management Committee (it is managed by Macedon Ranges Shire Council) so I was effectively given a guided tour! She described all the great clean-up and revegetation work that they have been doing with the help of several different groups who have also volunteered their time. Even without the guided tour the waterfall is a beautiful place to visit, which is why it’s made it onto the blog despite the fact it’s really not much of a hike. 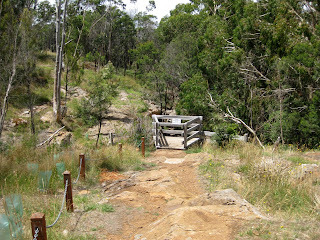 From the falls, head back past the staircase and take the small walking track to your right. This will take you back to the carpark. If you want to explore further, there is another track to the left or a vehicle track further along on the right which could be explored. Have you visited Stanley Park? If you have any stories, updates or corrections, please let us know by commenting below. 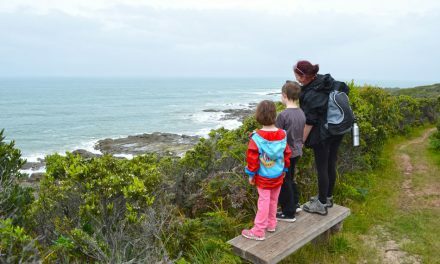 Do you like Bushwalking Blog? You can either sign up for e-mail updates in the side-bar, or get updates via the RSS feed, Facebook or Twitter. Lovely shots of Stanley Park and the falls.Another worthwhile walk is the trail up at Camels Hump.I used to live in Macedon and these areas are of special interest to me and so close to Melbourne too. Thanks for the comment. 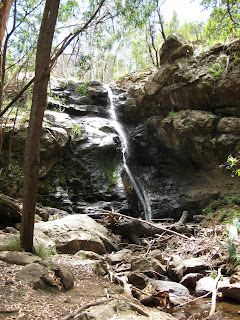 I visited Camels Hump in the early days of Bushwalking Blog. 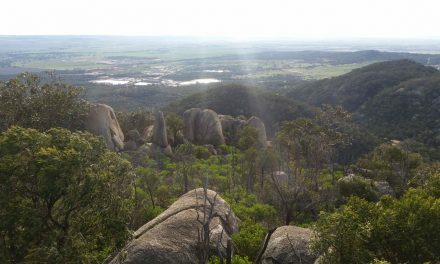 Here it is – http://bushwalkingblog.com.au/camels-hump-summit-macedon-regional-park-mount-macedon-victoria-2/. Wasn’t much of a view up there on the day I visited but it was still a gorgeous spot. Hi, lovely pic, but you have used a weed. I am planning to visit soon so I will send you a native plant pic if you would like. Thanks for letting me know. I’m not too bothered by the fact that it’s a weed. It’s still very attractive and was one of the nicest things I saw on my visit. Feel free to share your photos, though.